1. Have you ever apologized to someone from your work/school? 2. Has someone ever apologized to you at work/school? 3. Name one or two mistakes you did at work/school recently. Let’s read the dialogue. I will be Mika and you will be Mr. Kent. After reading it once, we’ll switch roles. Let’s read each word and their meaning aloud. Please repeat after me. Choose the correct answer based on the dialogue you read. 1. 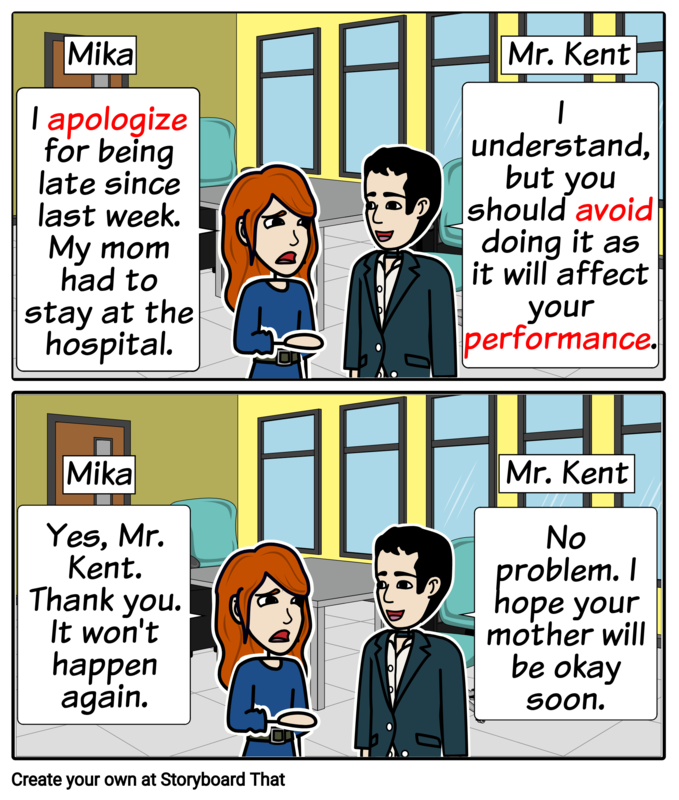 Why is Mika apologizing to Mr. Kent? a. She’s always sleeping at work. c. She’s always late since last week. 2. Who was in the hospital since last week? 3. Why should Mika avoid being late? a. She might lose her job. b. It will affect her performance at work. c. Her workmates will be mad at her. 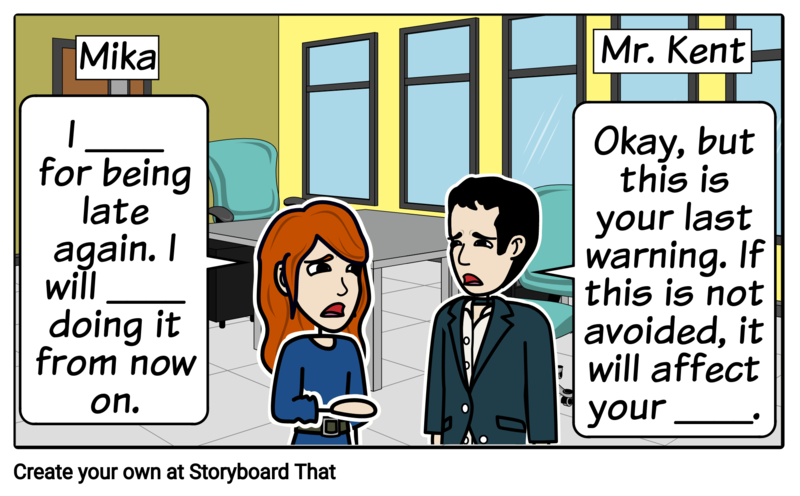 Read the dialogue and fill in the blanks with the correct vocabulary words.